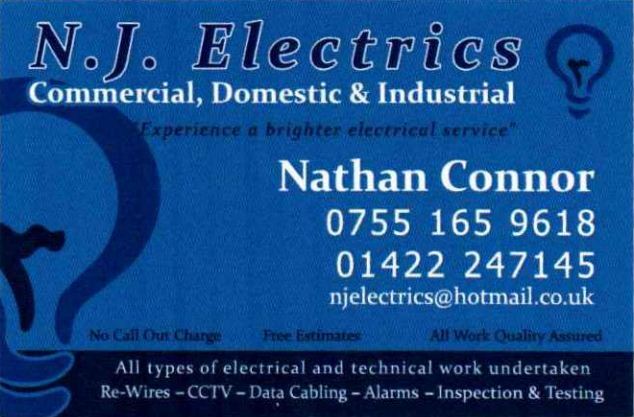 inspection and testing, alarms, data cabling and all other electrical work. No call out charge and free estimates. Available 7 days a week at no extra cost. No job too small or large. 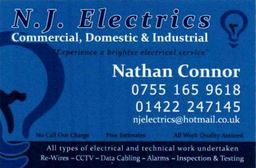 N J Electrics offer a safe, clean, friendly and reliable service with an excellent reputation for customer satisfaction. 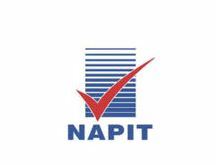 17th edition qualified with part P, work certified by NAPIT and listed on the Electric Safe register.